Most die hard football fans have probably watched one of the most inspirational football movies of all time, The Blindside. This popular 2009 film was based on a true story about a entrepreneurial Tennessee family (Sean and Leigh Anne Tuohy, and their 2 children SJ and Collins) that fosters a poverty-stricken teenage boy named Michel Oher. One can see from watching the movie how the Tuoy’s engulfed Michael in familial love, which ends up changing his life (and theirs) exponentially. Michael, with the help of his adopted family, joins his high school football team and eventually becomes one of the most touted NFL prospects in college football. An NFL first-round pick, Michael finds his calling and emerges as an NFL football superstar, initially playing for the Baltimore Ravens and then the Titans (for one year). Now Michael plays for the Carolina Panthers– the team that is Super Bowl 50 bound with a phenomenal 17-1 season record. 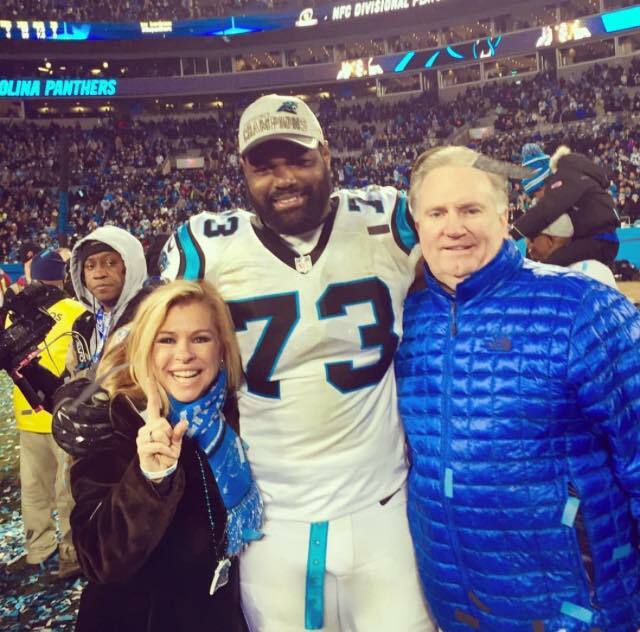 This will be Oher’s second Super Bowl, previously reaching and winning one with the Ravens. We’ll have to wait and see if he wins another Super Bowl ring on February 7th. Either way, we are all inspired by Michael’s incredible story of perseverance.